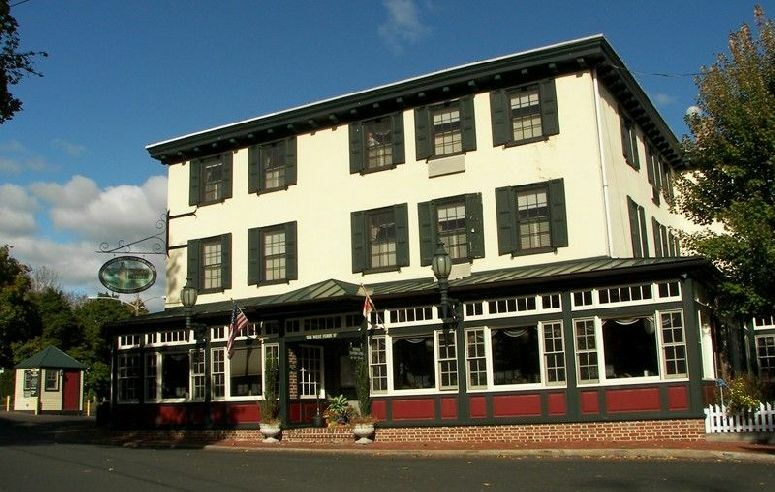 Is the Logan Inn in New hope, Pennsylvania haunted? The Logan Inn was built in 1727 and its original purpose was that of a coaching inn, The inn still functions as such today and is prized on it high standards of accommodation offered and its quaint, colonial style layouts. The Inn claims to have four ghosts. Room number 6 seems to be the most haunted area of the inn. Women have reported seeing the reflection of a man in the bathroom mirror. When they turn around, startled, he is no longer there. This room has also been referred to as "Emily's Room". Emily is believed to be the mother of a prior owner of the inn. A businessman who slept in the room reported waking to a pressure on his chest. When he looked up he saw a white, misty shape in the room. He left immediately, right in the middle of the night! In that same room, guests have reported seeing the translucent figures of two children. No one knows the origin of the spirit of the children - although one may be connected to the spirit also seen in the parking lot behind the inn. The children have also been seen reflected in the mirror. Other incidents in Room 6 include the sound of crying and pillows pulled from beneath the heads of sleeping guests. Upstairs in the inn is also a large portrait of a couple. (This portrait has now been relocated to the lobby) It is said that the woman in the picture favored lavender perfume, and when she is about, checking on the guests, you can still smell her perfume. You may also smell it when you walk by the portrait. Other common sightings of ghosts at the Inn include that of seeing the apparitions of soldiers appearing all over the premises. The inn actually let it's services to that of George Washington and his men, which may explain the sightings.